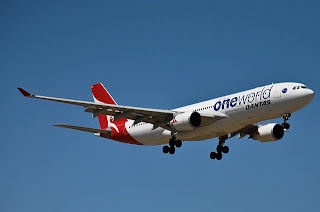 A Qantas Airbus A330-200 (VH-EBL), with 147 passengers and 11 crew members on board, was on a scheduled international flight from Manila to Sydney, and cruising about 420 miles (675 km) northwest of Cairns, Australia on 22 March 2011, when there was a small electrical fire in the cockpit. According to several media reports, the fire was initially extinguished by an automated fire fighting system. The fire flared up several minutes later, and one of the crew members extinguished it with a fire extinguisher. The crew diverted to Cairns and landed about 50 minutes later. According to a Qantas spokesperson, an electrical fault caused smoke and small flames near the left windscreen. None of those on board were injured. The Australian Transport Safety Bureau, which is Australia's equivalent to the US National Transportation Safety Board, is investigating this Qantas incident. This is not the first Airbus A330 cockpit fire involving a Qantas aircraft. 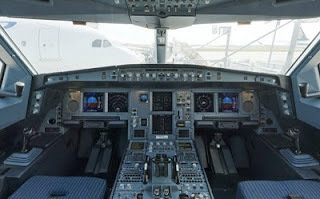 On 10 June 2009, this JetStar aircraft (JetStar is a subsidiary of Qantas) had a cockpit fire during a flight from Osaka, Japan to Australia's Gold Coast Airport (about 60 miles south of Brisbane). According to a report from the Australian Transport Safety Bureau, while the aircraft was flying about 427 km southwest of Guam, the flight crew noticed a burning rubber smell on the flight deck. At about that time, two caution messages were displayed to the crew identifying a fault in the right windshield heating. This was followed by a loud bang along with a flash of light, followed by smoke and fire from the bottom right corner of the right windshield. All flight crew donned oxygen masks, and a crew member used a fire extinguisher to extinguish the fire. The aircraft diverted to Guam and landed without incident.